PennsylvAsia: Chinese movies in Pittsburgh for Lunar New Year: Monster Hunt 2 (捉妖記2) from February 15, The Monkey King 3 (西遊記女兒國) and Detective Chinatown 2 (唐人街·探案2) from February 16. Chinese movies in Pittsburgh for Lunar New Year: Monster Hunt 2 (捉妖記2) from February 15, The Monkey King 3 (西遊記女兒國) and Detective Chinatown 2 (唐人街·探案2) from February 16. 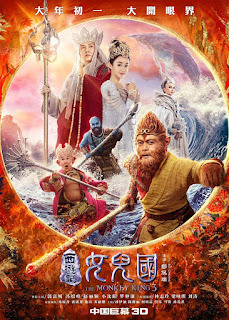 Three new sequels to popular Chinese movies will play in Pittsburgh this Lunar New Year Weekend: The Monkey King 3 (西遊記女兒國), Monster Hunt 2 (捉妖記2), and Detective Chinatown 2 (唐人街·探案2). The Monkey King 2 played in Pittsburgh in 2016, and was the second-highest-grossing domestic film in China that year. A follow up to the Chinese hit “Detective Chinatown,” the new film reunites writer/director Chen Sicheng and stars Wang Baoqiang and Liu Haoran, who reprise their roles as detectives Tang Ren and Qin Feng, respectively. When the case of New York Chinatown godfather Uncle Qi’s missing son turns into a murder investigation, the detective duo Tang and Qin team up again to hunt down the killer—this time with some help from the International Detective Alliance. 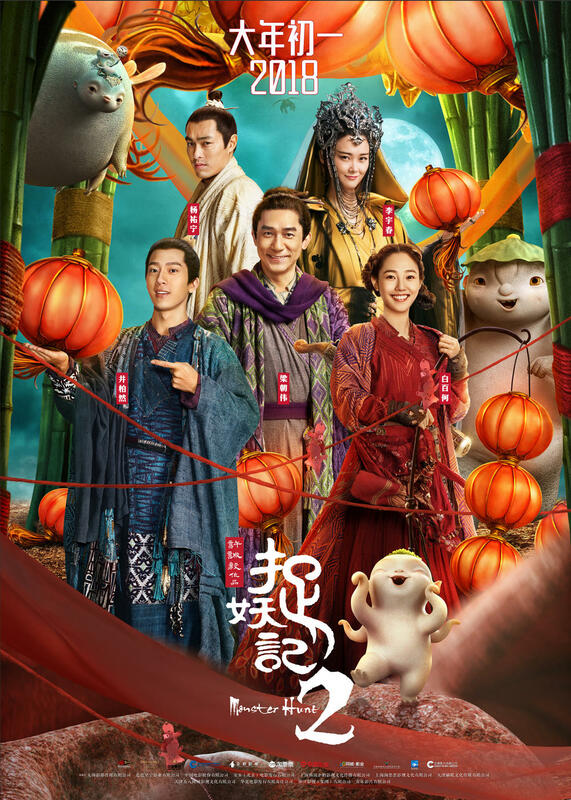 Monster Hunt 2 opens on the 15th, while The Monkey King 3 and Detective Chinatown 2 open on the 16th at the AMC Loews Waterfront theater. Ticket and showtime information for all three movies are available online via Fandango. The theater is located at 300 West Waterfront Dr. in the Waterfront shopping complex in Homestead (map), across the Monongahela River from Greenfield, Squirrel Hill, and the rest of Pittsburgh.